Having a product that is versatile, clean and is pocket sized is like a dream come true. 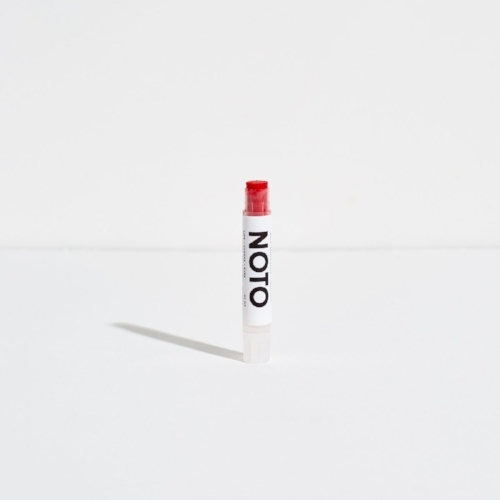 The Noto Multi Benne Stain Stick is just that. You can use it on your lips, your eyes, your cheeks, or anywhere desired for a pop of natural flush. The stain comes in a 0.7oz tube that fits perfectly in your pocket or handbag. We love it for its clean ingredients like organic coconut oil, organic jojoba oil, organic Shea butter, and peppermint. It is multi-use color that nourishes and repairs. The pigment in the Multi Benne Stain comes from iron oxide. This is our go to all-in-one beauty product for these summer months. The stains are just the right hint of color and can be deepended with layered application. Noto's Multi Benne Stain Stick wears lightly and doesn't clog pores. We love the feel of this product on our lips and our cheeks. With a fresh sun-kissed face, the stain on your cheeks brightens naturally. Apply a thick layer on the lips for a deep, solid color with just the perfect amount of shine. Dab on lips lightly for a completely natural look with just a hint of color. Smear on eyelids for a pop of color on the eyes, or apply under the lash line for a more dramatic look.